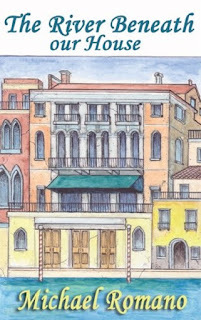 River Beneath Our House - book event with author Michael Romano, Jan. 7th at Florey's! Florey's Books welcomes local author Michael Romano as he discusses his new book, "The River Beneath Our House". 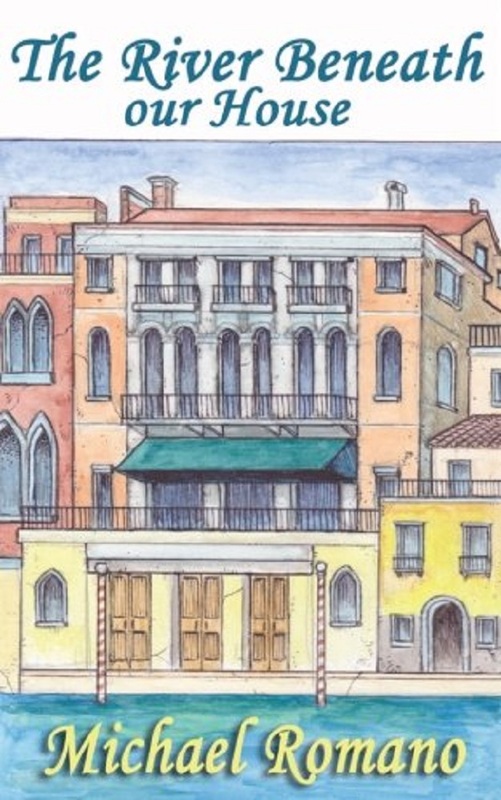 What secrets lie below a five hundred year old Venetian palazzo? Two adventure-loving kids (and their dad) are about to find out! 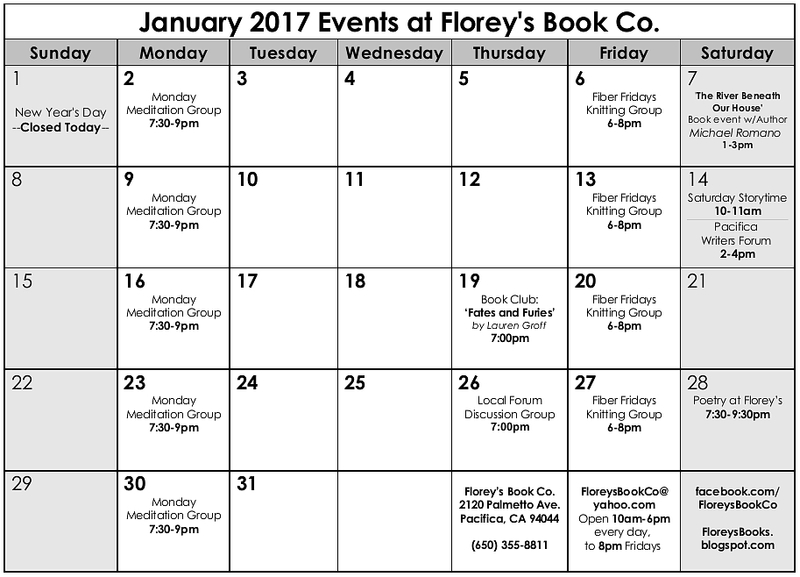 January 2017 Events at Florey's Book Co.
2017 marks our 40th year in business. Thanks to all our valued customers! -"The River Beneath Our House"
A new children's adventure story. 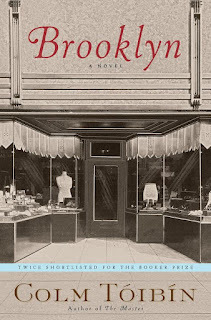 Pacifica Book Club: 'Brooklyn' Dec.15th at Florey's! Come by for a chat about our December book, 'Brooklyn' by Colm Tóibín. In Ireland in the early 1950s, Eilis Lacey is one of many who cannot find work at home. Thus when a job is offered in America, it is clear to everyone that she must go. Leaving behind her family and country, Eilis heads for unfamiliar Brooklyn, and to a crowded boarding house where the landlady's intense scrutiny and the small jealousies of her fellow residents only deepen her isolation. Slowly, the pain of parting is buried beneath the rhythms of her new life -- and finally, she begins to realize that she has found a sort of happiness. As she falls in love, news comes from home that forces her back to Enniscorthy -- not to the constrictions of her old life, but to new possibilities which conflict deeply with the life she has left behind in Brooklyn. Colm Tóibín is the author of seven novels, including The Master, winner of the Los Angeles Times Book Prize; Brooklyn, winner of the Costa Book Award; The Testament of Mary, and Nora Webster, as well as two story collections. Three times shortlisted for the Man Booker Prize, Tóibín lives in Dublin and New York. Open 10am to 8pm - December 1st-24th! 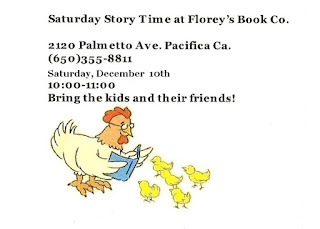 Pacifica Writers Forum, December 10th at Florey's! 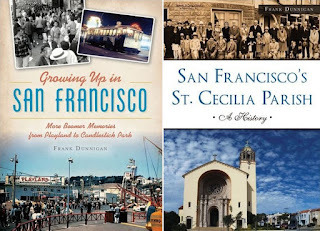 Growing up in San Francisco / St. Cecilia Parish - Two-book event with author Frank Dunnigan, Dec. 7th at Florey's! 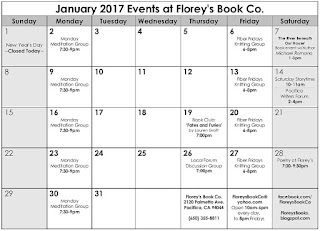 Florey's Books welcomes author Frank Dunnigan as he discusses his two new books, "Growing Up in San Francisco: More Boomer Memories from Playland to Candlestick Park" and "San Francisco's St. Cecilia Parish: A History"
Newcomers and visitors can still enjoy iconic San Francisco with activities like riding a cable car or taking in the view from Twin Peaks. But San Franciscans cherish memories of a place quite different. They reminisce about seafood dinners at A. Sabella's on Fisherman's Wharf, the enormous Christmas tree in Union Square's City of Paris department store and taking a handful of dimes to Playland-at-the-Beach for arcade games and cotton candy. 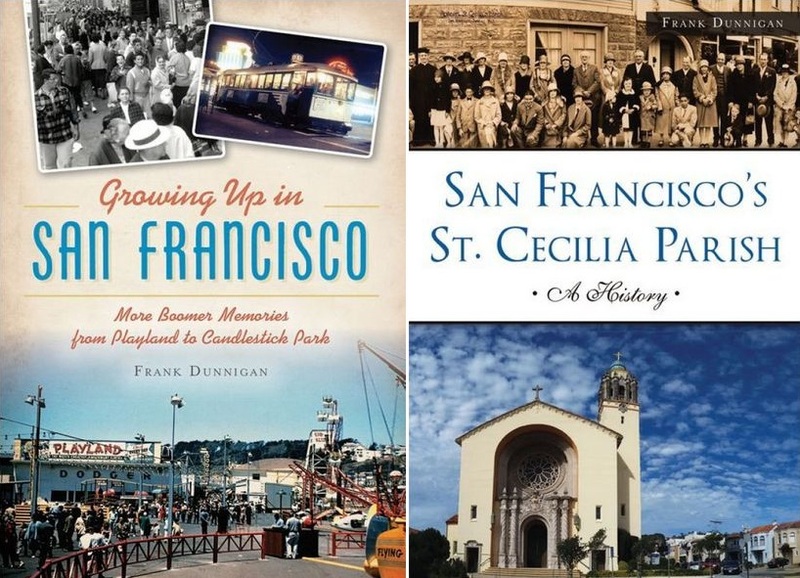 In his second volume of these unforgettable stories, local author and historian Frank Dunnigan vividly recalls the many details that made life special in the City by the Bay for generations. Originally housed in a two-story home and then in an old converted schoolhouse along Taraval Street in 1917, San Francisco s St. Cecilia Church today stands as a cultural pillar and architectural gem of the Parkside District. The parish continually grew to meet the demands of its members, despite the hardships brought on by events like the Great Depression and both world wars. Through years of expansions, new construction and additions, the parish remains an active gathering place for thousands of people. Local author Frank Dunnigan utilizes community remembrances and photos from dozens of different sources to tell the story of a vibrant parish that continues to live up to its motto: The Finest, the Greatest and the Best. Baby boomer Frank Dunnigan has family roots in San Francisco that can be traced all the way back to 1860. A graduate of St. Ignatius College Prep and the University of San Francisco, he spent more than twenty-five years as a bank auditor and a corporate trainer, and is now a recent retiree after a career with the federal government. He has authored two other books on San Francisco history for The History Press, and writes a monthly column, STREETWISE, for the Western Neighborhoods Project.